Just as home maintenance is essential to the integrity of your home, maintaining your commercial space is crucial to the success of your business. A key part of this maintenance is performing routine roof inspections. When you do this you can identify any possible damage that will only worsen over time, costing you more money, time, and energy. Unless you know exactly what to look for and are completely comfortable on top of a roof, we suggest that you hire a licensed and professional roofer to complete your inspection. If you are a resident of the Nashville area and want help with your commercial roof inspection, contact Tim Leeper Roofing. With over a decade of experience providing expert commercial and residential roofing services, we have earned a reputation for being Nashville’s go-to roofing contractors—in fact, we were recently named Roofing Contractors of the Year. Whether you have a metal, asphalt, modified, single-ply membrane, or some other type of commercial roof, call us today to get your free no-hassle quote or to schedule your roof inspection. 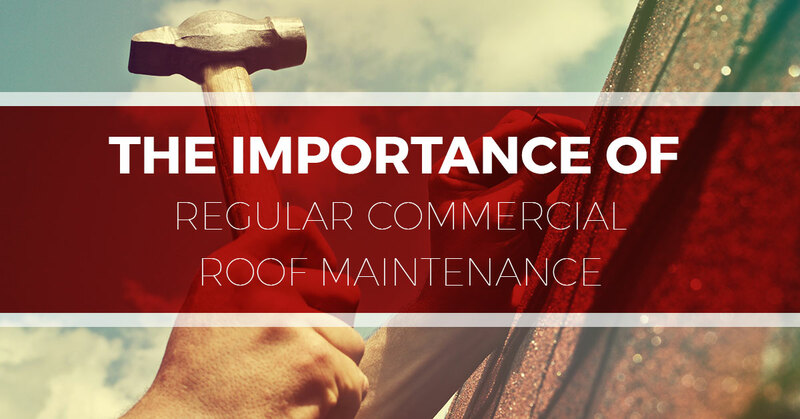 Read on to learn about the importance of commercial roof maintenance. If you have not inspected your roof lately, don’t wait any longer. The quicker you catch roof issues, the smaller the problems are and, therefore, the cheaper they are to fix. For example, if you spot a few missing shingles before they become full-blown leaks that seep into the interior of your business, you can save yourself time, money, and a huge headache. Like a lot of roofing problems, undetected leaks can turn into widespread structural damage if not addressed promptly. As you likely know, commercial roofs are not cheap. It is, therefore, important to do all you can to get the most out of the roof you have. The life of your roof is determined by several factors, including age, weather, and—perhaps most importantly—maintenance. Performing regular inspections and roof maintenance is, in essence, a preventative measure that slows down the deterioration of the roof system, thereby allowing you to get the most out of your investment. When you inspect your roof routinely and maintain it, you keep the interior of your business dry and at a comfortable temperature. This can be especially important during extreme weather. A well-maintained and insulated roof can keep your interior space cool in the hot months and warm in the cool months, and if your business has several employees, remember that comfortable employees are productive employees. This means that you will not only be saving money by immediately repairing damage, but you also can make more money by improving the productivity of your workers. Roof damage can severely jeopardize the safety of your company, employees, and customers. For example, leaks that are not repaired can cause mold and mildew to form—which is a direct health hazard for those in the building—and they can also cause wet floors that create a potential slipping hazard for anyone in the building. In addition to all of this, unrepaired damage can be an eyesore and can affect the appearance of your business, which in turn can hurt your reputation and profits. Experts suggest getting your roof inspected at least once or twice a year. If you have yet to do this or to schedule your routine maintenance plan, call Tim Leeper Roofing—the expert roofing company. From commercial to residential roofs, we are your source for roof replacement, repair, maintenance, or a simple inspection. Our team takes great pride in everything they do and in keeping you safe and making sure your home or business looks great!